The right bicycle helmet can provide up to four times more protection against concussion, Testfakta’s tests show. A method for measuring the stresses the brain is subject to in accidents was used in the tests. Around three cyclists a day suffer serious head injuries in Sweden. Obviously, wearing a bicycle helmet reduces the risks, but Testfakta’s tests show that today’s helmets offer varying levels of protection. This is particularly the case if you receive an impact angled from the side and not directly towards the head. “These types of knocks are not only more common but they increase the risk of concussion and serious brain damage because the cyclist experiences rotation to both the head and brain,” says Madelen Fahlstedt, a researcher at the neuronics department of KTH Royal Institute of Technology, which helped analyse the test results. Although angled impacts are both more common and more dangerous, to date the helmet industry has focused on helmets’ shock-absorption ability during linear impacts, which is subject to legal requirements. “We have known about the risks of head rotation at a research level since the 1950s. But it is only now that this is beginning to be discussed seriously in the industry,” says Fahlstedt. In recent years new helmets have emerged which are marketed as reducing the risk of head rotation during a collision – helmets with so-called MIPS protection. But how well do they work? 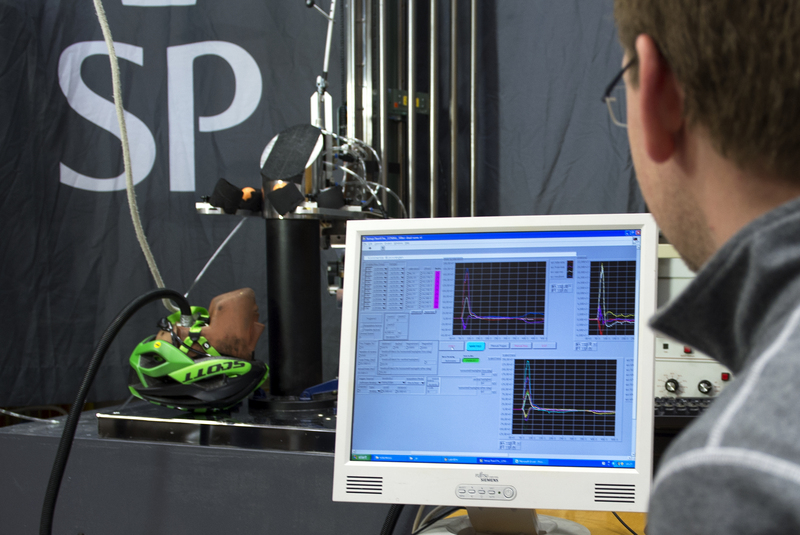 Testfakta commissioned SP Technical Research Institute of Sweden (SP) in Borås to test five helmets with MIPS protection and four without. The helmets were placed on a dummy head and subject to linear and angled impacts. Measuring equipment inside the dummy head measured movement of the head. Using the measurement data from the tests, Fahlstedt then analysed the damage to the brain from the different impacts. “Our data simulation model shows us how much the brain tissue is stretched in the collisions. The more stretching, the higher the risk of concussion,” she says. The results show that MIPS protection helps. The risk of concussion is a full four times lower with the MIPS helmets from Giro and Spectra, compared with Abus and Specialized helmets without such protection. However, the tests also show that it’s not as easy as buying any helmet with MIPS protection. Scott Arx Plus MIPS, for example, has twice as high a risk of concussion as Spectra and Giro in some types of accident. And helmets without MIPS can also offer good protection – MET 20 Miles achieved some of the best scores for an accident equivalent to a fall to the side from a bicycle, even though it does not have MIPS. “The general design of the helmet also plays a role,” says Fahlstedt. Currently there are no requirements or limit values for bicycle helmets’ protection against head rotation. But this is frequently discussed in the industry and it is expected to be added to the certification standard in the next few years. 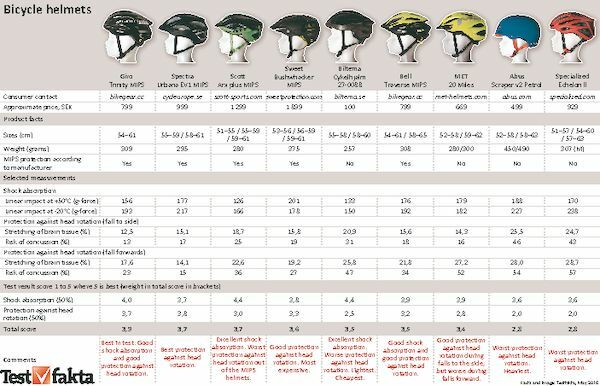 When it comes to helmets’ shock absorption during linear impacts, all the tested models met the legal requirements, although there is quite a difference between different helmets. “The shock absorption itself is also important, because it reduces the risk of skull fractures, which can also have serious consequences,” says Fahlstedt. MIPS offers an extra low-friction layer inside the helmet, which rotates slightly during an angled impact to the head. The system reduces both the force that reaches the head and head rotation. The technology has been developed by researchers at KTH Royal Institute of Technology. 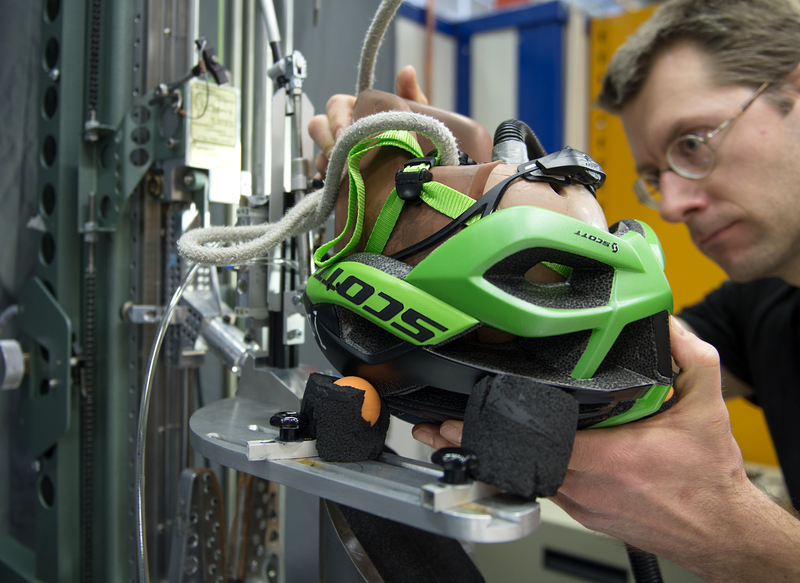 Testfakta commissioned SP Technical Research Institute of Sweden to test nine different bicycle helmets for protection against skull injuries and concussion. Researchers at KTH Royal Institute of Technology then analysed the measured values and performed a risk assessment for concussion. 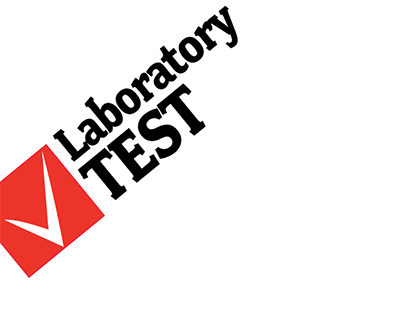 This test has been carried out in accordance with SS-EN 1078, the standard prescribed by law. The helmet is placed on a test dummy and dropped against a horizontal surface at approximately 20 km/h. The test is performed at both +50°C and -20°C. The translation acceleration, i.e. the g-forces that reach the head, is measured during the test. Legal requirements stipulate that this figure must not exceed 250 g.
The helmets are dropped at a speed of 22 km/h against an angled surface (45°) to simulate different types of accident. Angled impact against the side of the helmet which reflects a fall to the side or being knocked over by a motor vehicle. Angled impact against the top of the helmet which reflects a fall over the handlebars, for example. Angled impact against the back of the head. The tests measure the g-forces that reach the head as well as how much the head rotates inside the helmet (rotation acceleration and rotation speed). All measured values were sent to KTH for a further analysis of the risk of injury. KTH used a model of the human brain produced by researchers at the institute to calculate the stretching of the brain tissue as a percentage. On the basis of these values, the potential risk of concussion can also be determined. One of the researchers who designed KTH’s data simulation program is also one of the founders of MIPS. To avoid a potential conflict of interest, the researchers did not know which helmets had been tested when they carried out the data simulation.